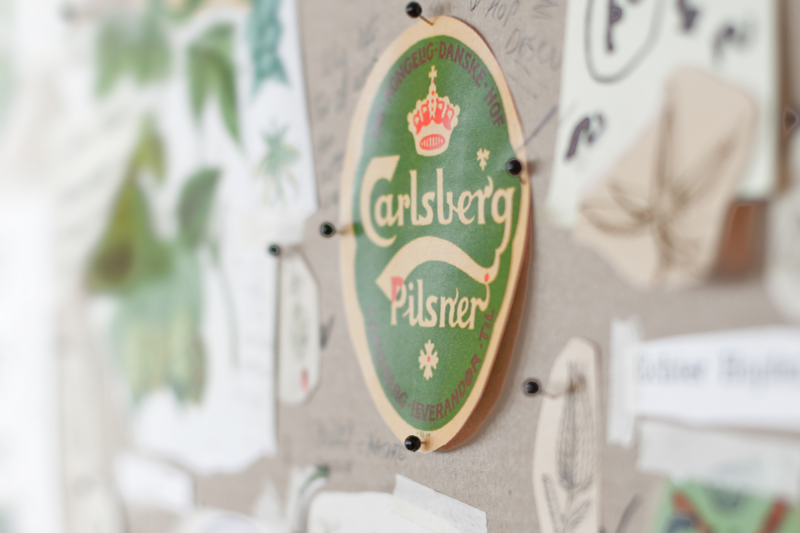 In order to communicate Carlsberg’s huge shift in sustainable practices we were briefed to redesign Carlsberg’s pride and joy. 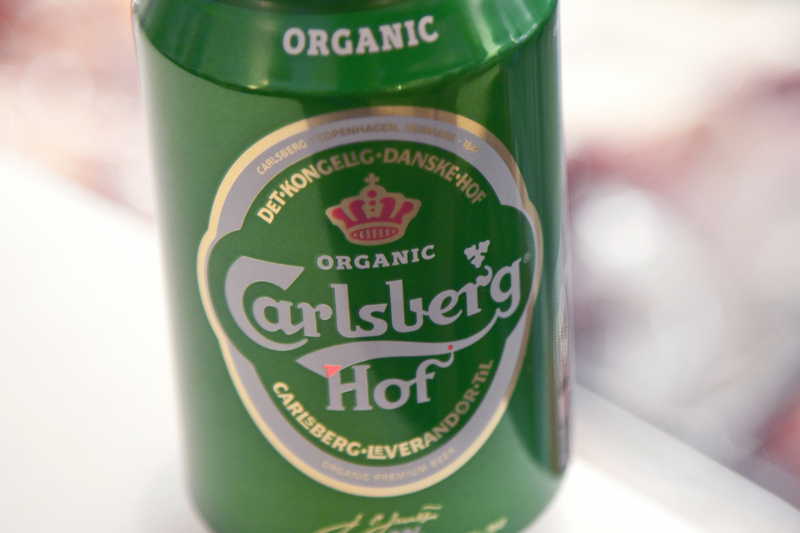 Carlsberg Hof now for the first time has been converted to an organic beer product. 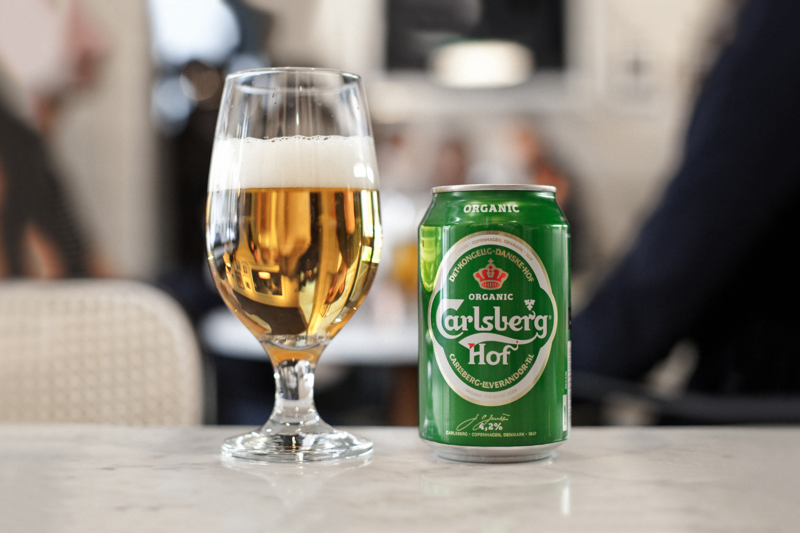 The challenge being to remain relevant to Carlsberg as an international brand, whilst competing against Sweden’s complex beer market. By doing this taste appeal must be heightened in order to reflect the quality of the product and visualize the translation to organic brewing. 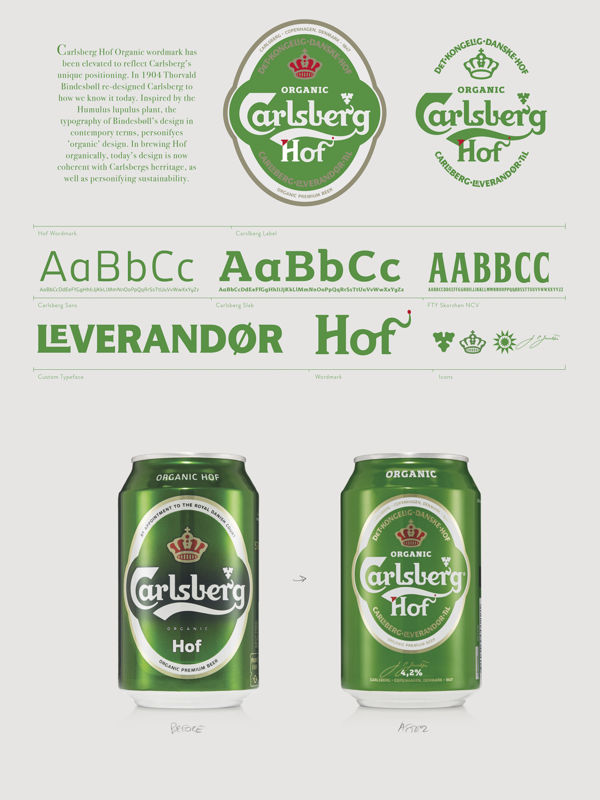 A contemporary design that symbolises the quintessence of Carlsberg and its Danish origins. By scanning the archives of Hof’s design history, a sense of pride has been reintroduced into the brand. 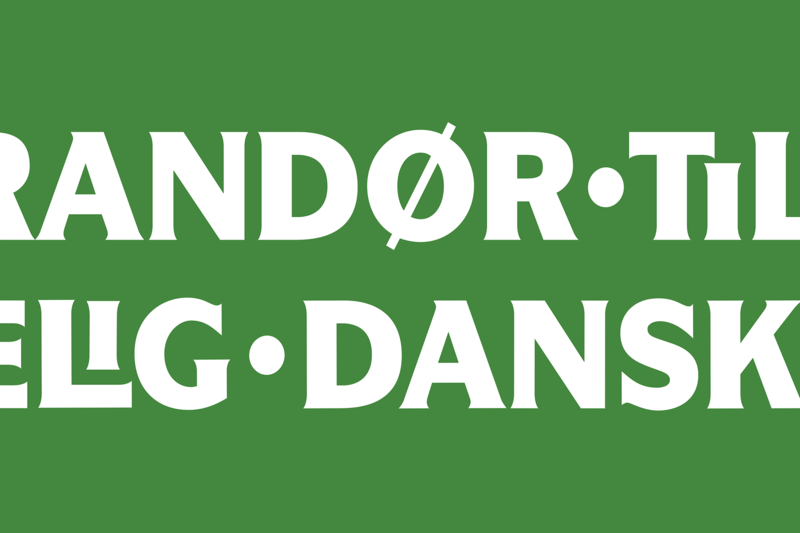 Inspired by Thorvald Bindesbøll’s iconic design, the new Hof identity now contains hand-crafted elements that have not previously been part of the brand. 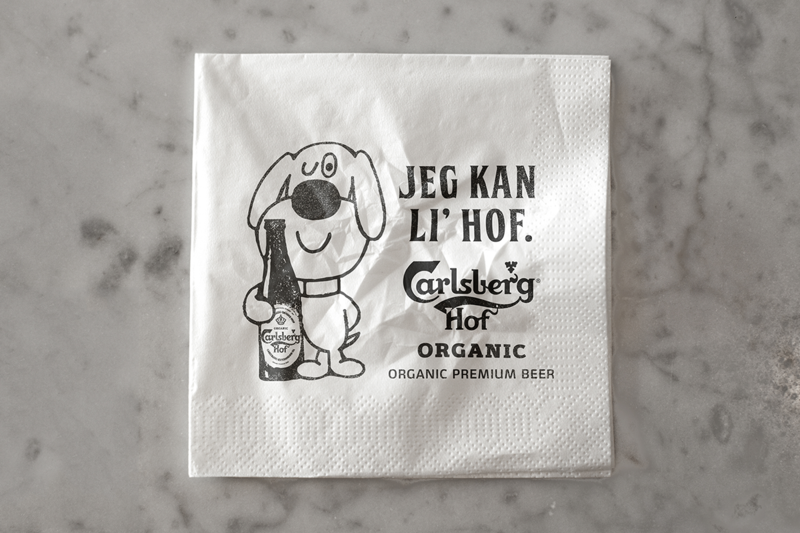 The result being that Hof now feels more a part of Carlsberg than ever before, a design that epitomizes the organic nature of the product. 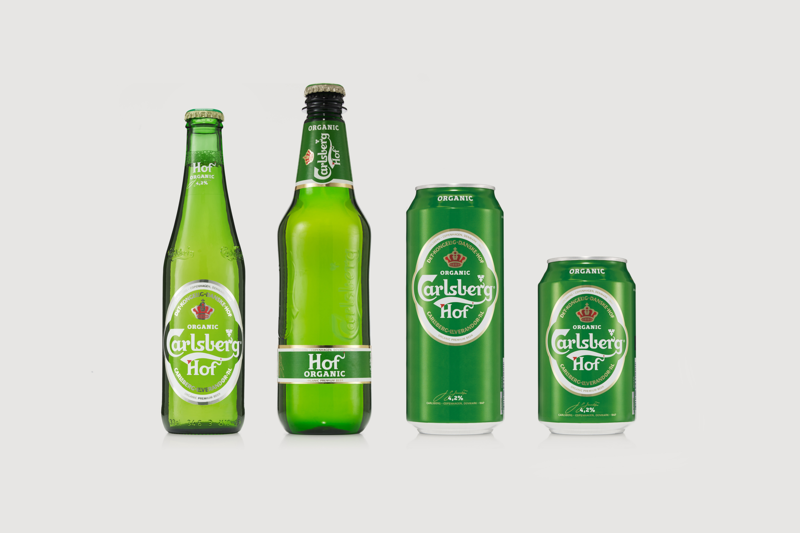 Launched in mid-2015 the Hof range is already catching eyes with its new green color by redefining how ‘organic’ products should be depicted. a sense of pride has been returned into the brand. 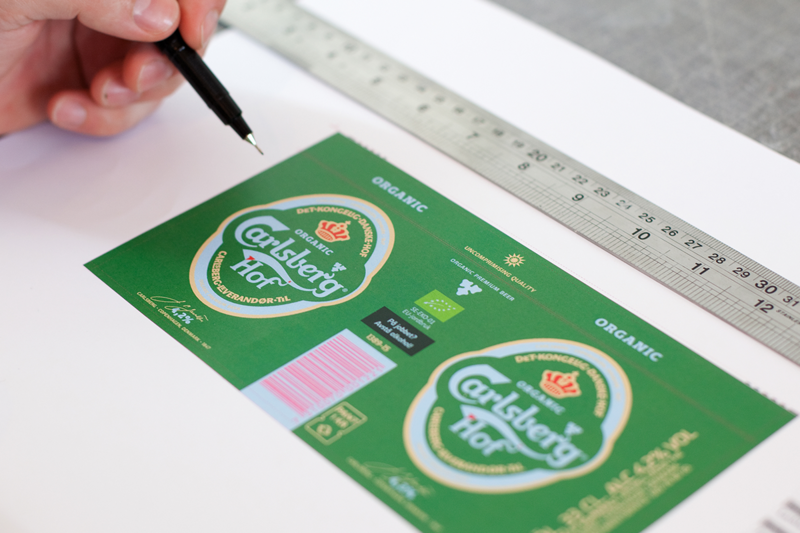 the identity now contains hand-crafted elements.